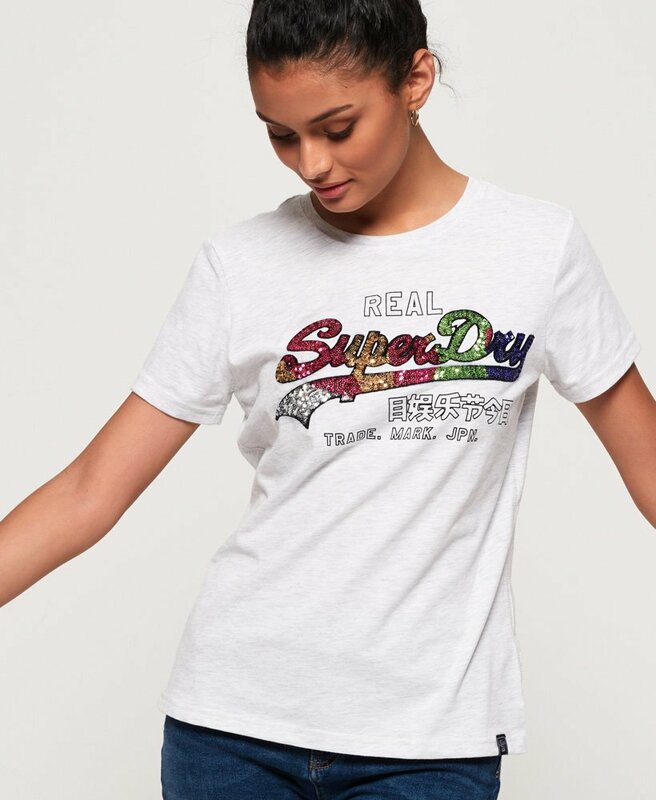 Superdry women’s Vintage Logo carnival sequin t-shirt. Inject a welcome dose of dazzle into your wardrobe with this carnival sequin tee, a great staple in any wardrobe that will pair with just about anything. This tee features an embellished Superdry logo across the chest, short sleeves and a crew neckline. For the finishing touch, this t-shirt has a Superdry tab on the hem. A key look to wear this tee with is your favourite pair of jeans, layered up with a zip hoodie and trainers.